Haitians outside a Red Cross field hospital in Carrefour, Haiti, on Dec. 14, 2010, 11 months after a magnitude 7.0 earthquake hit the country's capital, Port-au-Prince. 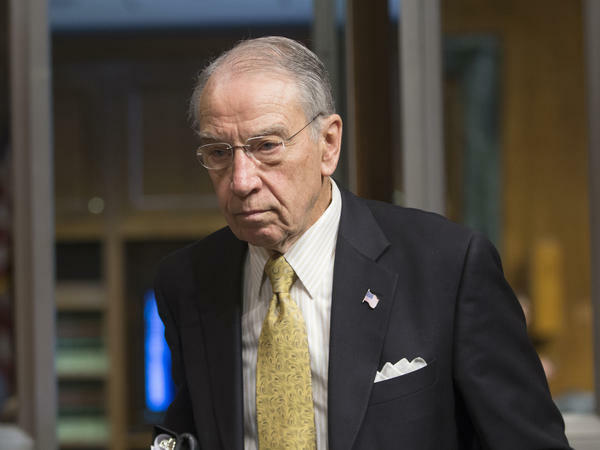 Sen. Chuck Grassley, R-Iowa, arrives for a committee hearing on Capitol Hill on Feb. 23. American Red Cross President and CEO Gail McGovern attends a roundtable with President Obama regarding the 10th anniversary of Hurricane Katrina in New Orleans on Aug. 27, 2015. The American Red Cross spent a quarter of the money people donated after the 2010 Haiti earthquake — or almost $125 million — on its own internal expenses, far more than the charity previously had disclosed, according to a report released Thursday by Iowa Sen. Chuck Grassley. The report also says the charity's top officials stonewalled congressional investigators and released incomplete information about its Haiti program to the public. It concludes "there are substantial and fundamental concerns about [the Red Cross] as an organization." The report follows a nearly yearlong investigation by the Iowa Republican and his staff, launched after coverage by NPR and ProPublica of the Red Cross' Haiti response. The venerated charity raised nearly $500 million after the disaster, more than any other nonprofit, but an ambitious plan to build housing resulted in just six permanent homes, NPR and ProPublica found. The charity insisted to congressional investigators that $70 million spent on "program expenses" included funds to oversee and evaluate its Haiti programs. But Grassley's office found that the charity "is unable to provide any financial evidence that oversight activities in fact occurred." Red Cross CEO Gail McGovern told Grassley's office the charity "gave [the Government Accountability Office] everything that they asked for" during an earlier review. The report, however, says the organization did not provide everything requested, "contrary to Ms. McGovern's multiple claims that it did." The Red Cross has kept the charity's own internal investigations and ethics unit "severely undermanned and underfunded," the report says, and the charity "appears to be reluctant to support the very unit that is designed to police wrongdoing within the organization." Red Cross officials defended the charity's work in a statement responding to the Grassley report, calling the organization's spending "entirely justifiable given the size and complexity of the Haiti program." They also noted that the Red Cross receives favorable ratings for accountability from charity watchdog groups. Grassley, who chairs the Senate Judiciary Committee, said in an interview that even after a year of back-and-forth with the Red Cross, "we did not get satisfactory answers — like pulling teeth, it was very difficult." The Red Cross, including McGovern, repeatedly has told the public that all but 9 percent of donations spent go to humanitarian programs. But Grassley's office found that 25 percent of donations sent to Haiti — or nearly $125 million — were spent on fundraising and management, a contingency fund and the catchall category the Red Cross calls "program expenses." The Red Cross sent the bulk of the remaining donated money to other nonprofits to do the work on the ground. Those other nonprofits then took their own cuts — as high as 11 percent — for their own expenses. "The most important thing [from the report] is an unwillingness to level with the people exactly where the money went," Grassley says. "There's too many questions in regard to how the money was spent in Haiti ... it gives me cause to wonder about other money being donated for other national disasters." "One of the reasons that they don't want to answer questions is it's very embarrassing," Grassley adds. In its statement, the American Red Cross notes that it has not yet seen Grassley's report, but that the organization and McGovern have been transparent, and that donors' money was properly spent. The statement also notes "the scale of the destruction and the challenging and sometimes dangerous conditions of working in Haiti." The Red Cross, created by a congressional charter more than a century ago, receives a range of special benefits from the U.S. government. In general, the Red Cross itself doesn't know how much money it spent on each project in Haiti because of a "complex, yet inaccurate" accounting system, the report found. The report echoes the confidential findings of consultants hired by the Red Cross, which previously were reported by NPR and ProPublica. One internal evaluation of one of the group's water and sanitation projects found there was "no correct process for monitoring project spending." Another assessment found that the group's figures on how many people were helped by a hygiene project were "fairly meaningless." Documents provided by the Red Cross suggest that the charity sometimes spent large sums of money on management costs even when it enlisted other organizations to run relief operations. In 2010, the American Red Cross wrote a check for $4.3 million to its sister organization the International Federation of the Red Cross for disaster preparedness work. On top of the $4.3 million, according to budget figures the charity provided to Grassley, the American Red Cross spent another $2 million on its own to manage the grant. That's after it already took out hundreds of thousands of dollars in administrative fees. 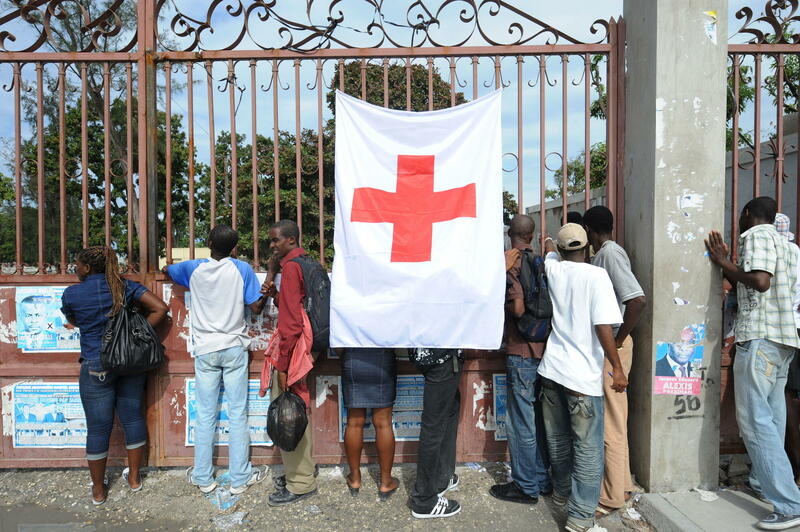 Partners like the IFRC typically take out their own overhead and administrative costs before using the money to help Haitians. When asked what the $2 million was used for, the Red Cross said it covered the costs "incurred to ensure accountability, monitoring and evaluation of work performed and ensure our partners meet their contractual requirements." "It's sort of a shocking amount of money," said Jake Johnston, a research associate at the Center for Economic and Policy Research, who has spent years digging into the Red Cross' finances. "Maybe a little bit more than half that ends up going to a project." The report lists eight examples of things the Red Cross declined to provide to government investigators working for the GAO as part of an inquiry that began in 2014. Those include descriptions of the charity's internal oversight processes, as well as interviews with chapter officials involved in the response to Superstorm Sandy. In its statement, the Red Cross says that "at no point did the Red Cross refuse to provide requested information." But Grassley's report calls that claim "contrary to the documentary evidence." McGovern has portrayed the Red Cross as a beacon of openness. "We made a commitment that we want to lead the effort in transparency," she said at the National Press Club in 2011. Grassley also says that, as NPR reported last year, McGovern tried to kill the GAO investigation — and that while the Red Cross couldn't kill the investigation, its "lack of cooperation led GAO to modify its scope." In meetings and email correspondence over several months, Red Cross General Counsel David Meltzer questioned GAO's legal authority to look at the Red Cross. The Red Cross argued that investigators' "requests for internal decision-making, internal oversight, and internal funding allocation are outside of GAO's authority," according to the GAO's account. The Red Cross has about 20,000 employees, but its ethics office — which investigates waste, fraud and abuse — is composed of three people, according to the Grassley report. That is down from roughly 65 staffers after Hurricane Katrina a decade ago, the report says. The Office of Investigations, Compliance and Ethics was left so "understaffed and underfunded" that it is "unable to perform its primary function; namely, to perform investigations, ensure compliance, and maintain ethical standards," the report found. The report doesn't explain why the size of the office was slashed, but it does note that the Red Cross sometimes relies on outside law firms to conduct internal investigations. One of the three remaining employees, the "compliance coordinator," performs only intakes and triages and does not actually do investigations. Another, the chief investigator, is based in New York, away from Red Cross headquarters in Washington. Requests by the head of the unit, Teala Brewer, for more staff have gone unfulfilled, the report says. Let's turn now to a congressional report out this morning. It finds that 25 percent of the money people donated to the American Red Cross to help victims of the 2010 earthquake in Haiti was not spent directly on relief efforts there. Instead, it went to the charity's own internal expenses. That is far higher than the Red Cross had said. The report also accuses that charity's senior leadership of stonewalling congressional investigators looking into the Red Cross's work. NPR's Laura Sullivan has more. LAURA SULLIVAN, BYLINE: Senator Chuck Grassley asked the American Red Cross for a thorough accounting of how it spent donors' money in Haiti. The request came after a series of stories from NPR and ProPublica detailing problems the charity was having in the country - for example, how the Red Cross raised almost $500 million but built just six permanent homes. Congressional investigators sought to find out where the money went. But according to their report, the Red Cross may not even know. What is clear is that the charity kept as much as $124 million for itself for management and fundraising costs, a contingency fund and for things the charity calls program services, something Grassley says the Red Cross could not fully explain. CHUCK GRASSLEY: We did not get satisfactory answers. SULLIVAN: Grassley, a Republican from Iowa, described the process of getting information from the Red Cross as, quote, "pulling teeth." GRASSLEY: They need to shape up and get back to rebuilding the confidence of the American people in them. 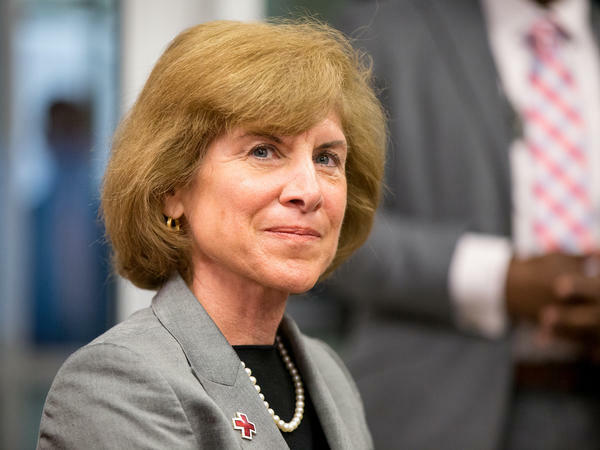 SULLIVAN: The report found Red Cross CEO Gail McGovern attempted to quash an earlier government investigation into the charity's work and that senior officials were able to limit its scope by not cooperating. The report says there are, quote, "substantial and fundamental concerns with the Red Cross." Grassley summed it up this way. GRASSLEY: What I take away from it is this - I think the most important thing is an unwillingness to level with the people exactly where the money went. SULLIVAN: In a statement, the Red Cross noted that it has not yet seen the report. But it says the charity has been transparent and donors' money was properly spent. The statement says the cost of the projects are, quote, "entirely justifiable given the size and complexity of the Haiti program, the scale of the destruction and the challenging conditions of working in Haiti." The Red Cross tells the public 91 percent of the donations it spends goes to help the people of Haiti. The report suggests that number is closer to 75 percent, and that still doesn't account for administrative expenses that its partner organizations might charge. Take one example - in 2010, the Red Cross gave the umbrella Red Cross group, the IFRC, $4.3 million. According to the numbers the charity gave Grassley, the Red Cross kept two million more dollars for itself. The Red Cross said in a statement the money went to overseeing the grant and evaluating the work. But that money was on top of hundreds of thousands of dollars the charity already collected in expenses for the project. Then, the IFRC took out its own administrative fees. Those fees can be as high as 11 percent. JAKE JOHNSTON: Is sort of a shocking amount of money. SULLIVAN: Jake Johnston is a research associate at the Center for Economic and Policy Research. JOHNSTON: You're talking about, you know, a little bit more than half that actually ends up going to a project. SULLIVAN: The Red Cross told congressional investigators that the 2 million in this case went to something it calls program services. In total, the charity placed almost $70 million of its Haiti donations in this category. The report notes that the charity was never able to explain what exactly the category pays for. The report also found the Red Cross was unable to tell investigators how much each project in Haiti actually cost. JOHNSTON: Maybe the most distressing part of the report is that, you know, after six and half years of asking where the money went, it sort of looks like the Red Cross itself doesn't really know. SULLIVAN: Johnston says the greater problem for the Red Cross and the people of Haiti is what the charity did or failed to do with the money it did send. JOHNSTON: The scrutiny of the Red Cross came about not because they weren't spending enough money on the ground or because they were taking too much for their own headquarters, but because people weren't seeing the results on the ground of $500 million. SULLIVAN: When disasters strike, millions of Americans open their wallets and donate to the Red Cross, the country's largest and most venerated disaster charity. But in Haiti, donors may never know where their money went. Laura Sullivan, NPR News, Washington. MONTAGNE: And Laura co-reported that story with ProPublica's Justin Elliott. Transcript provided by NPR, Copyright NPR.